The goal is healthy carbs. Both white and sweet potatoes are good sources of vitamins, potassium, and fiber. 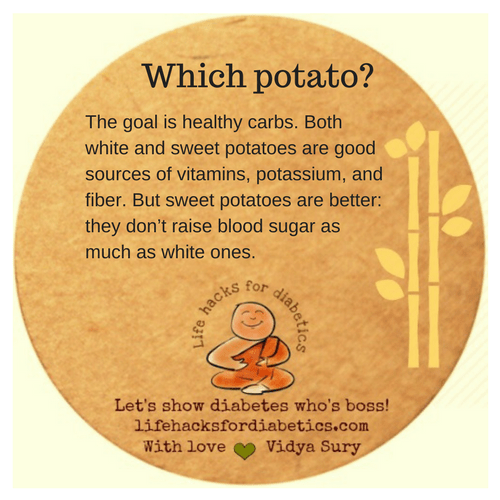 But sweet potatoes are better: they don’t raise blood sugar as much as white ones.